"Whatever space and time mean, place and occasion mean more, since space in the image of man is place and time in the image of man is occasion." Opening: Please feel welcome to join us for the opening on Friday 11 January 2019 from 5pm. Collective living and building makes a comeback in Amsterdam architecture. As in the period 1965-1985, where architects designed shared spaces and facilities on a large scale, today’s architects once again focus on collectivity. With models, drawings, films and photographs of iconic buildings, Collective Comeback mirrors the collective architecture of that time with that of today. After the post-war reconstruction, a change in architecture took place. Prosperity is increasing, housing needs are decreasing and the architect can focus on comfort and quality. Designers set their sights on collective architecture. The projects in the exhibition show the innovative nature of this new building ideal, such as the emphasis on ‘the meeting’ in Herman Hertzbergers Drie Hoven and involving residents in the design process of the Bickerseiland. Today, about fifty years later, collective architecture is once again topical. Compact homes with shared facilities offer solace in a densifying and sustainable Amsterdam. More and more inhabitants of Amsterdam are living outside the conventional family context. For them, collective architecture offers an affordable means in the tense housing market. Not only new concepts of living together, such as Friends-living, but also new forms of co-commissioning are emerging. With Collective Comeback, Architectuurcentrum Amsterdam puts these two movements of collective architecture into perspective for the first time. 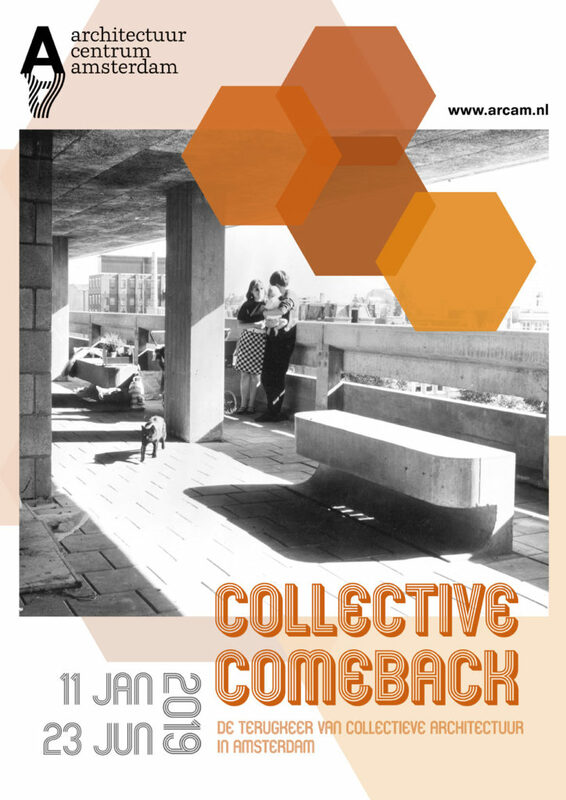 Discover how collectivity took shape in the period 1965-1985 and how this phenomenon is taking shape again today.